Pictures don’t do this cross justice. The vibrant raku finish with varying colors has been glazed and kiln-fired to 2000°F with mesquite shavings making each handcrafted piece a one-of-a-kind work of art. Colors vary with the glaze and kiln-fired process. 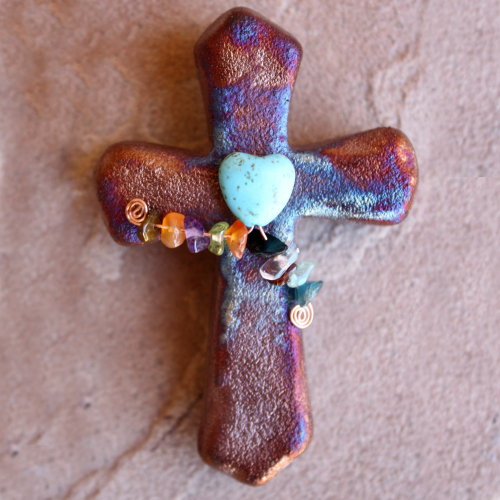 Wrapped with copper wire and semi-precious stones, each original cross is signed by artist Jeremy Diller.